﻿ Best Price on Las Olas Beach Resort in Palo Grande + Reviews! 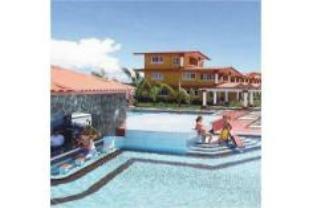 Las Olas Beach Resort is located on the Pacific Cost of Panama and next to La Barqueta Beach. It features an ocean front, outdoor swimming pool, Spa Center and tennis court. Air-conditioned rooms offer free wired internet access, a work desk, safety deposit box, TV and telephone. The bathroom is private and has a shower and hairdryer. All rooms feature a balcony or terrace. The restaurant at Las Olas Beach Resort offers international cuisine and features ocean views. Breakfast and lunch can be enjoyed on the open terrace. Activities like surfing, kayaking and sea turtle releases are also an option for guests. Panama International Airport is 30 minutes’ drive away. Shuttles to and from the airport can be arranged for a surcharge.